The Salem-Keizer Volcanoes defeated the Hillsboro Hops by a score of 3-1 on Saturday night in a game that had huge playoff implications for Salem-Keizer. Both Hillsboro and Salem-Keizer were graced by incredible pitching through the first seven full innings. Luis Frias and Jake Wong both went three strong innings, and the bullpens exchanged zeros with fantastic performances from Justin Garcia, Harrison Francis, and Alex DuBord. Beaverton, Oregon native Kevin Watson Jr. made his Ron Tonkin Field debut on Saturday night, and after striking out in his first two at-bats, brought the crowd to their feet with a triple to kick off the bottom of the eighth. Watson came around to score on an L.T. Tolbert double into the left-center gap and the Hops led it 1-0. Reliever Travis Moths allowed his first run of the season in the top of the ninth inning after hitting two consecutive batters and giving up a Jett Manning single to right. He induced an inning-ending double play with the bases loaded to escape further damage. 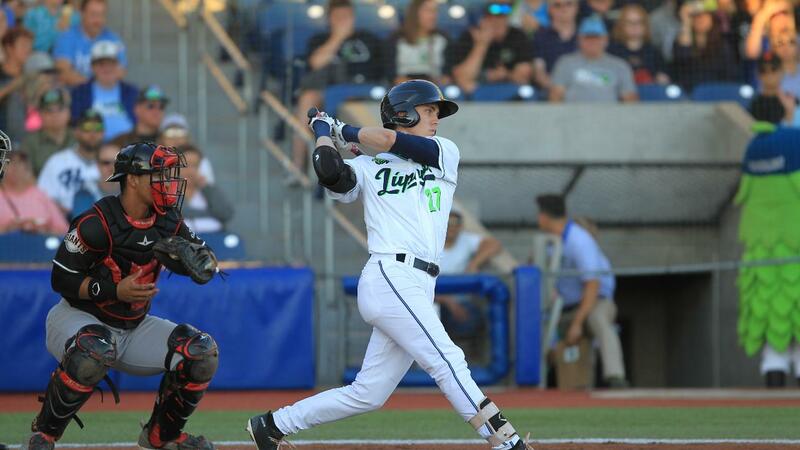 The teams traded scoreless frames in the tenth and then Salem-Keizer struck in the 11th inning. Northwest League All-Star Josh Green suffered his first loss of the season, as Dalton Combs singled to drive in Aaron Bond and Kyle McPherson singled to drive in Combs to take the decisive 3-1 advantage. Hillsboro aims for win number 50 tomorrow night, and Salem-Keizer's playoff hopes stay alive. Eugene and Salem are now tied for second place, with Eugene holding the all-important tie breaker. Sunday's game will begin at 4:05 pm. Tune into Rip City Radio 620 AM to catch all the action.